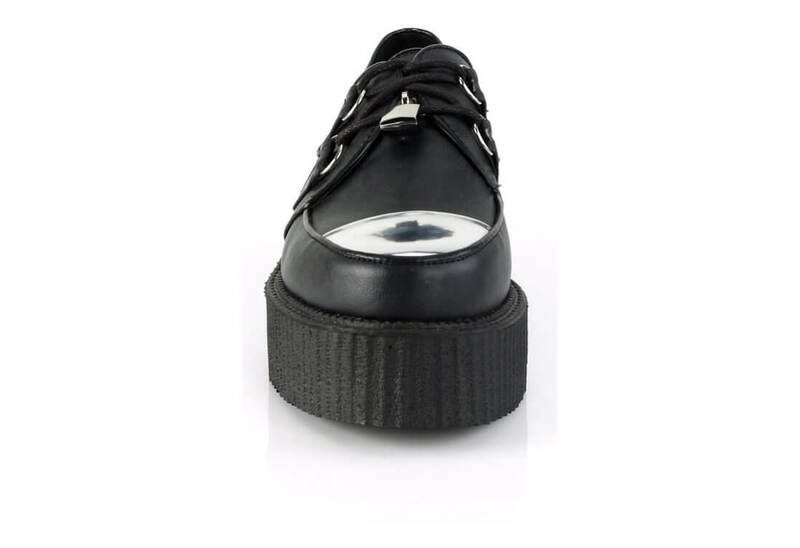 A very slick looking pair of creepers the V-CREEPER-515 has a 2 inch platform, silver reflective toe cap and padlock charm on the tongue. 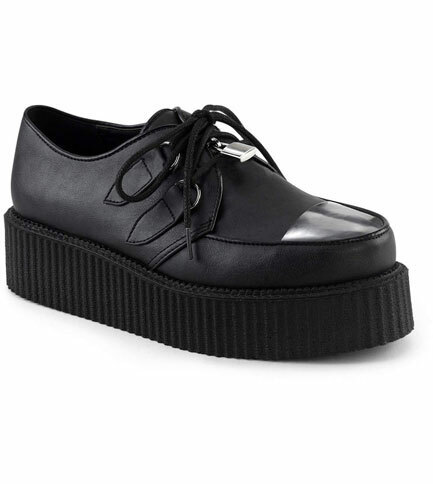 The front has a D-ring lace-up. 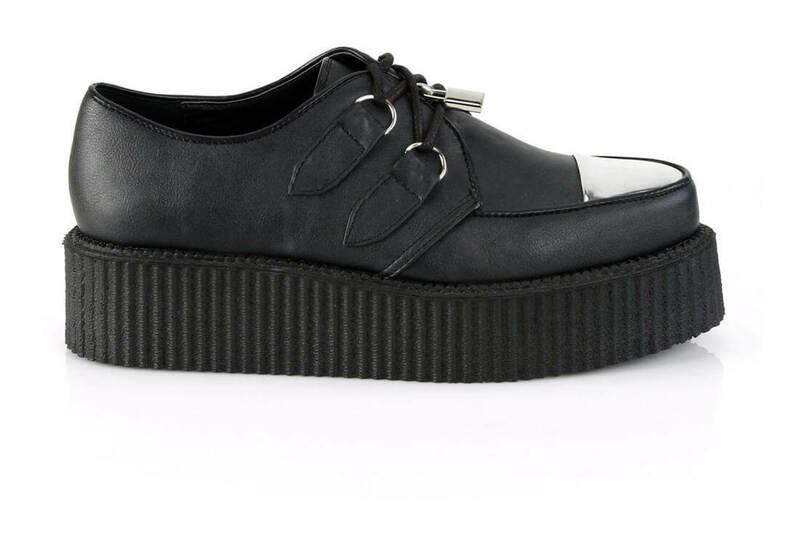 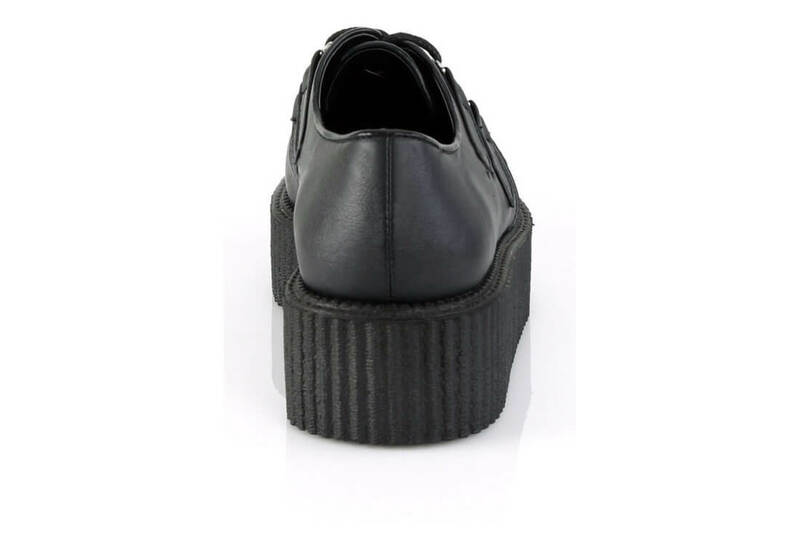 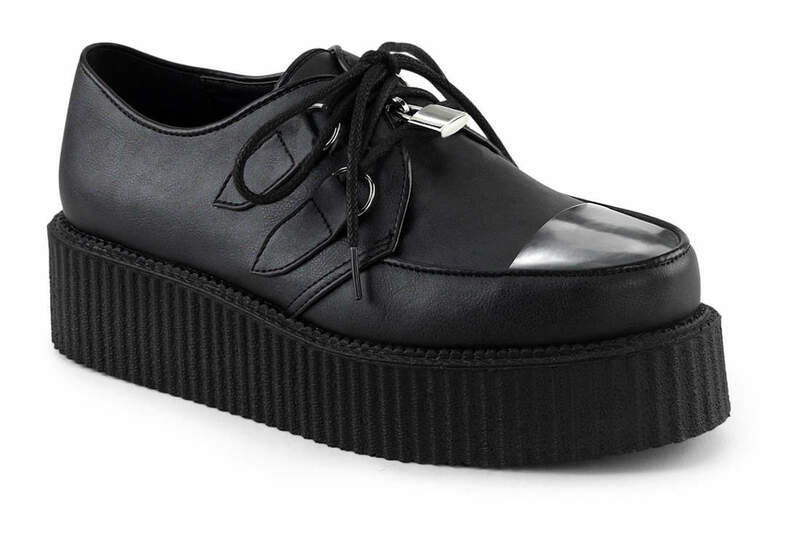 These creeper shoes also feature a hidden coffin compartment in the sole.